I think one of the most misused words [if not the most misused word] in the English language is the word, "literally." From dictionary.com literally means 'actually', 'in the strict sense', 'without exaggeration or inaccuracy', 'word for word'. Some synonyms for literally are 'exactly', 'precisely', 'verbatim'. 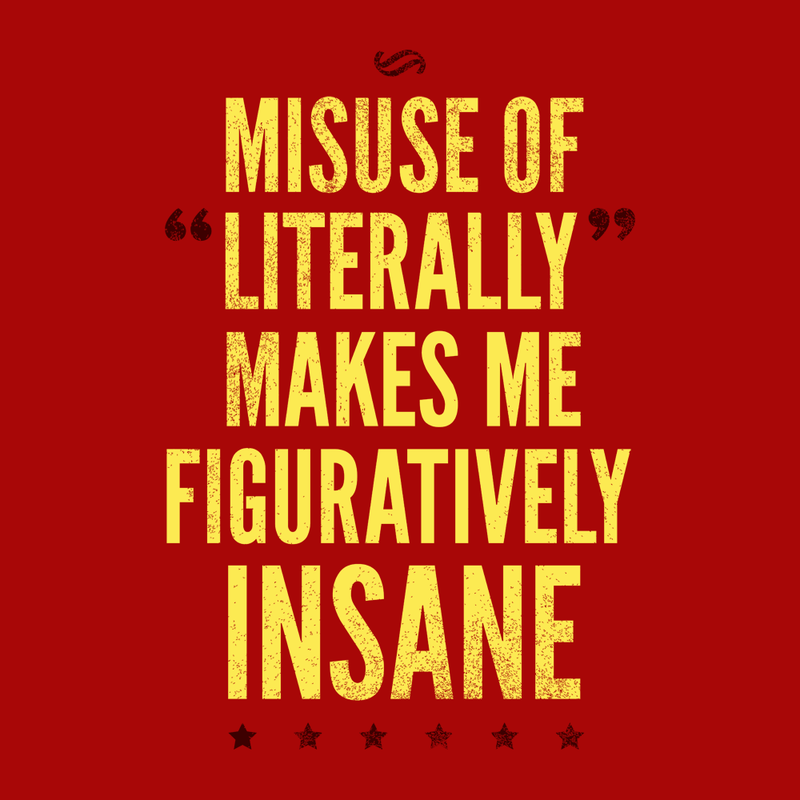 The main antonym for literally is "figuratively". 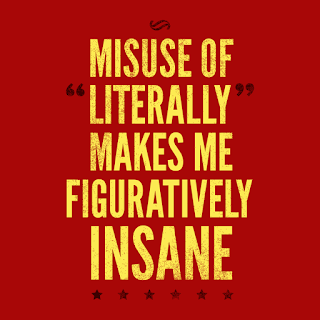 Almost always when the word literally is misused, the correct word that should have been used is figuratively. So, if someone says "I literally threw up when I heard that", unless that person actually did throw up, they really meant figuratively, not literally. "I literally died laughing." Then how did you make that statement? "He literally knocked the cover off the ball." I've been to hundreds of baseball games in my life and never have seen that. "He literally froze his but off." I can still see his but. "That song literally knocked my socks off." You may have taken your socks off, but knocked off? "Because of the storm we are literally stuck in our home." Stuck to what? "I stayed up all night reading that book in bed, and it was so exciting I was literally on the edge of my seat." I thought you were in bed. "I am so hungry, I could literally eat a cow." Fried or roasted?